As the old saying:Martial arts do not practice basic skills, and finally futile.Practice basic skills is the foundation of Shaolin Kung Fu,Depending on your learning content is different, practice different basic skills. 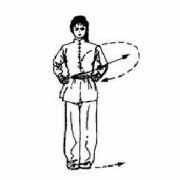 All of the following styles of Shaolin Kung Fu are part of our Teaching Content, you can learn that you are interested, or join our Classes. 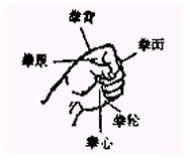 Hand type Shaolin Kungfu with a fist, palm, hook, etc., is the foundation of training exercises of Shaolin Kungfu, say "palm is a door, boxing meteor hammer, olecranon hook like"Boxing: four fingers close together volumes grip, the thumb on the index finger and middle finger second finger. 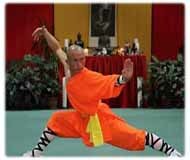 TPress Leg is one of the basic skills of the Shaolin Kungfu. Press Leg is mainly in order to pull ligament, improve leg flexibility. Methods Press Leg are mainly positive pressure, pressure, pressure, pressure, pressure and step, vertical fork, the fork.Press Leg benefits:1 to promote the healthy and perfect shape. 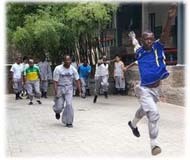 Running exercise is a kind of physical exercise Shaolin Kungfu used most often, which is the main technical requirements for running a simple because, without special venue, clothing or equipment. Whether in the field or in the street, even in the fields, woods are running exercise. 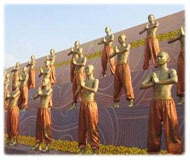 They can control the running speed, distance and route. 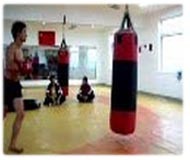 Sandbag Leggings is one of the basic skills of the Shaolin Kungfu. 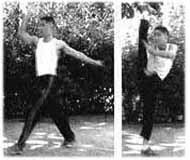 The main objective is to increase the leg muscles, strengthen leg muscles.Sandbags tied on the ankle position of general practice, vertical jump and step, every time a certain number of action, should pay attention to relax.